Take a trip to the top of the rainforest canopy and hang out with some sticky-toed amphibians! 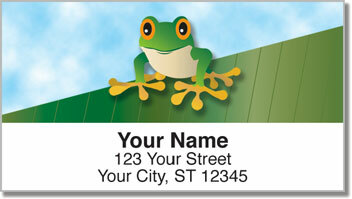 Cartoon tree frogs will give your new return address labels some colorful character. The little guys featured on this design grow no more than three inches in length, but they are hungry carnivores who will eat anything that fits in their mouths - even other frogs! 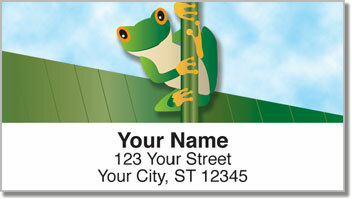 Tree Frog Address Labels from CheckAdvantage are an excellent selection for lovers of wildlife - especially those who believe in protecting the rainforest. Use these hassle-free, self-adhesive labels on every envelope you mail to save tons of time. 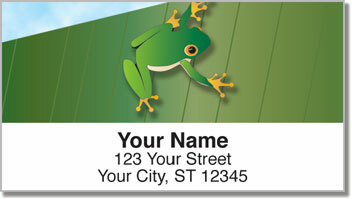 Get your own Tree Frog Address Labels now! 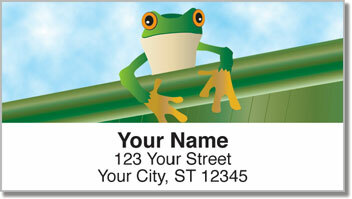 This fun animal design is also available as a set of matching personal checks!